I cooked on non-stick cookware for years and only got really serious about getting it out of my house in early 2016. The things I learned in the first two weeks of 2016 about nonstick cookware bothered me. A lot. 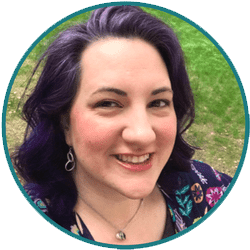 Enough that it got me out of bed in the middle of the night to write the first draft of this blog post and tell you: You need to get rid of yours, too. 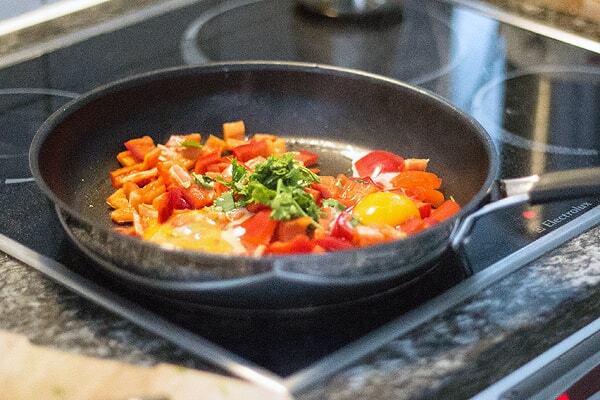 For several years, if you would have asked me about buying cookware, I would have told you that nonstick is bad for you: choose stainless steel or cast iron. I would have told you that because it's true. While telling you this, though, at home I owned stainless steel and cast iron pots and pans - and also quite the collection of nonstick cookware. I felt guilty every time I used it but I used it nonetheless. A decade ago, before I knew any better, I used cheap non-stick pans from Walmart. Then I sold Pampered Chef. During my five years as a Pampered Chef consultant, I amassed quite the collection of very high end nonstick cookware through winning contests, earning pieces during consultant promotions - to the tune of about $1000 worth of fancy cookware. When I was a Pampered Chef consultant, something my cousin said to me at one of the cooking show demos she attended was "I don't want to cook on chemicals." She'd asked about pots and pans and I told her about the "super awesome" nonstick cookware and that was her response. At the time, I really believed these items, made with DuPont's Autograph 2 coating, were safe - and that's what I told my friends, family and cooking show guests. Her statement, though, still haunts me. I wish I'd known better and looked into the issue more closely at the time instead of writing it off as another of her eccentricities. So here I am: 10 years later telling you that you absolutely must make this the year to get rid of your non-stick cookware. Yes, even if it isn't flaking off in chunks that you're trying to pretend are pepper. In addition to plenty of news about new findings that PFOA, PTFE, and PFAS (the main chemical components in non-stick cookware, microwave popcorn bags and grease-resistant pizza poxes) are not actually as safe as once thought, I read this brilliantly well done piece from New York Times Magazine about the long and sordid history of these chemicals and the multi-decade cover-up that happened at DuPont. Reading the full history was the tipping point for me. This is the kind of stuff everyone needs to know - and I'm doing you a disservice if I don't tell you about it. 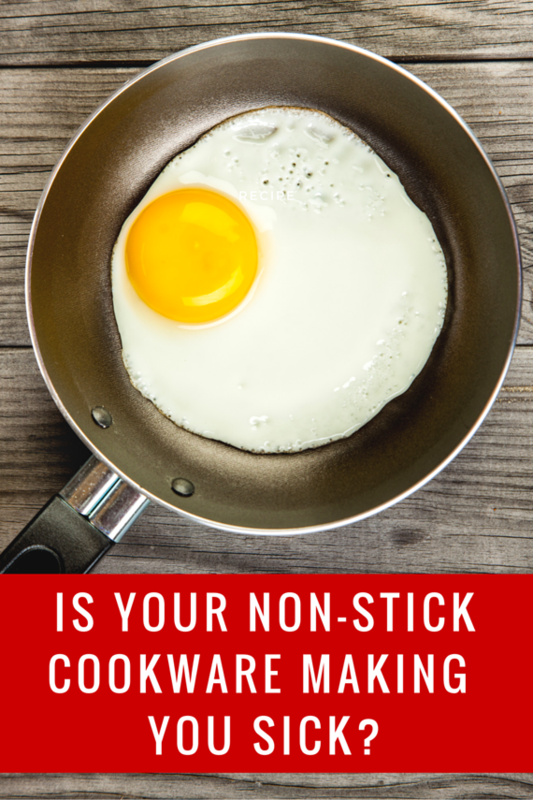 Is Nonstick Bad For You? 2. Toxic fumes from nonstick cookware being used at too high a temperature can kill pets - birds are especially susceptible. I'm not talking about using it carelessly- in some cases, leaving an empty pan on the stovetop for just 2 minutes can create enough toxic fumes to kill birds - yikes! 3. Toxic fumes from overheated cookware can also called flu-like symptoms in humans - often called "Teflon Flu" by industry insiders. Symptoms of Teflon flu include diarrhea, headaches, nausea, fever and malaise. My friend, Leah, who runs Mamavation put out a call in early 2016 in light of the recent news stories about the DuPont cover up urging people to throw their nonstick pans away. Before you do anything: Do not actually throw your pans in the trash! Now, you should absolutely stop using them. But let me tell you why you shouldn't throw them away just yet: You might be able to use them to help you get better pans. Pampered Chef: UPDATE April 2018: I used to tell people who owned Pampered Chef nonstick cookware to make a warranty claim on their worn out pans and pay the difference to replace them with stainless steel. As of April 2018, the all-stainless steel pans from Pampered Chef are no longer available. Instead, I think your best option is to sell them second hand and use the cash to buy yourself good stainless steel cookware. If you have Pampered Chef Executive Cookware (the high end Pampered Chef nonstick pots and pans), it comes with a lifetime warranty on scratches, dings, etc. Take a good look at your cookware. If you have scratches, dings, peeling in the surface, etc call 1-888-687-2433 and tell them you want to make a warranty claim on your piece(s). Then tell them that you are concerned about the durability or safety of the non-stick and ask if you can get product credit at Pampered Chef instead. 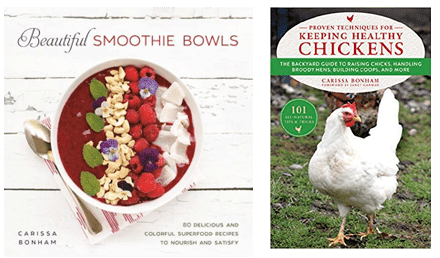 Use the product credit to buy anything BUT cookware from them - I am still a fan of their stoneware and their glass batter bowls make excellent non-toxic measuring cups. Bed, Bath and Beyond: Bed, Bath and Beyond has one of the most amazing and generous return policies. If you bought your pans at Bed, Bath and Beyond (even if you do not have the receipt), you can return them to any of their stores. Tell them you bought it there and are unhappy with it and want to exchange it for store credit to get different pans instead. The pan doesn't even need to be damaged! Nordstrom: Nordstrom doesn't actually have a return policy but they are always striving to satisfy their customers. If you bought your cookware at Nordstrom (even if you do not have the receipt), return it to any of their stores. Tell them you bought it there, are unhappy with it and want to exchange it for store credit to get different pans instead. The pan doesn't even need to be damaged! Costco: Costco is another company with an amazing return policy. They WANT you to be happy with your purchases so if you aren't (even if it's because you didn't know when you bought them that nonstick pans were bad for your health) you should be able to return them anyway. They will need your Costco card in order to find your receipt electronically. These are just the companies whose policies I know about. If your cookware manufacturer or vendor isn't on this list, call them anyway. Tell them you are unhappy with a pan (or cookware set...whatever it is) you bought from them and you want to know if you can exchange it for a different one - and then choose stainless steel or cast iron. And would you do me a favor? After you call, let me know how it went in the comments. I'd love to update this post with other companies who will work with you on exchanges to make you happy. If you have tried to get the company you got your cookware from to exchange and they still say no, at that point you can throw your pans away. Check out what you should replace them with below! What is the Safest and Healthiest Cookware & Bakeware? I am big not just on healthy and safety, but on performance, too. I realize that if I tell you to go buy healthy pots and pans but they don't actually work then my name is going to become your new favorite household swear word because you already threw out your pots and pans that performed well even if they made you sick. These pots and pans below are healthy and live up to the hype: You won't regret these purchases. Stainless steel pots and pans are easy to find but not all are created equally. My personal favorite stainless steel pans are from The Pampered Chef but unfortunately they were discontinued in April of 2018. If you can find all-stainless steel Pampered Chef cookware (NOT the stuff that is stainless on the outside and nonstick on the inside) on the second hand market, BUY IT! You won't regret it. 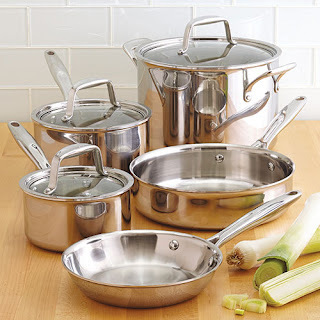 Other great places to buy stainless steel cookware are Macy's, Nordstom or Bed Bath and Beyond. If you just need the least expensive, non-toxic pans possible, check out Amazon, IKEA or Ross. The really inexpensive pans won't perform as well or feel as balanced BUT you'll have a healthy surface to cook on and that means a lot! Plus, you can always upgrade later as funds allow. 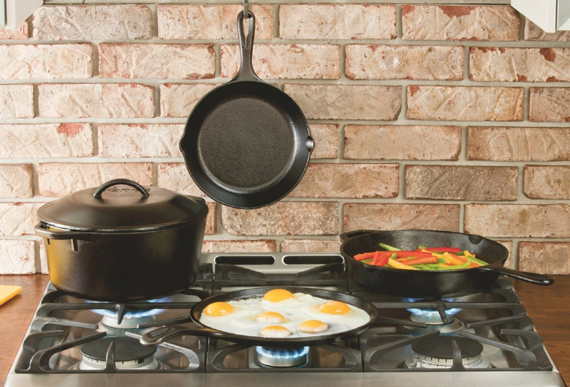 Cast iron is a great option in your kitchen. We personally own a 12" skillet, an 8" skillet and a Long Griddle/Grill and use them all the time. In fact, the 12" skillet is my favorite pan to make both pancakes and fried eggs in. I always buy my cast iron items from Lodge because the pieces are not only high quality but affordable and made in America. You can get vintage cast iron at thrift stores but beware of cast iron pieces if you don't know their history - before the dangers of lead were well known, lead hobbyists would use cast iron to melt down lead to use to cast their own figurines. To be sure a vintage piece is safe, bring some 3M Lead Check swabs shopping with you. If the swab turns pink or red, don't buy it! If it turns black or orange, that's just some of the seasoning wiping off. Only be concerned with a pink or red reading on a swab. One of the big reasons I love cast iron is its natural nonstick performance. 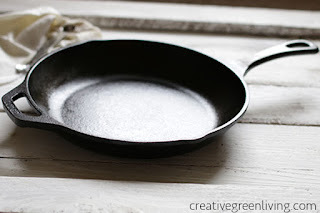 If you use real butter and turn your heat down lower than you would for another type of pan, your cast iron pan will be able to run circles around your other pots and pans. I love over easy eggs and cast iron is how I make that happen! Not sure how to care for cast iron. It's easy! Let me teach you how. Is Pampered Chef Stoneware Safe? YES! 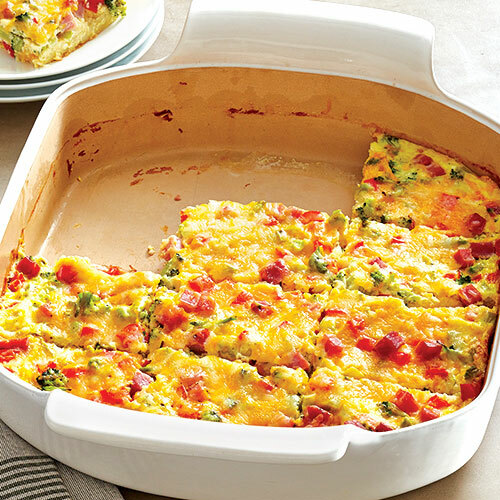 From cookie sheets to casserole dishes, Pampered Chef has a stoneware dish that you can use to swap out for nonstick ones - and they will perform better, too! They are the only brand of Stoneware I buy. (If you want your own, buy them here from my friend Terri. Tell her I sent you) You can get some of the Pampered Chef stoneware items on Amazon but truthfully, you'll get a better deal by going through Terri. If you found this post, helpful, informative or insightful, please share it on social media. So important! Thank you for spreading the word about this. I ditched mine about 8 years ago when I learned about it. So grateful to know. No Teflon coated pans in my house for years! I don't even trust the ceramic coated ones! Cast iron, Stainless Steel, and baked enamel Le Creuset are what I have. I am slowly working on replacing what we have. What are your thoughts on enamel? Enamel makes me nervous because it still uses chemicals - we just don't know yet if they are toxic. I have one enamel coated cast iron pan but my regular (well seasoned) cast iron performs better in regard to sticking than the enamel one does. Agreed! Teflon is a health disaster! I am so glad I got rid of mine years ago!! I use stainless steel and stoneware for the most part. I like your idea of asking for new pans from the companies. We bought stainless steel and now some cast iron ones many moons ago. Teflon gives me the willies. I looked into this some more after your comment and I have not found anything to indicate DuPont has stopped using PFOA. PTFE and PFAS are cousin chemicals in the same category and while some companies may not use PFOA, they use PTFE instead. They are all bad news. As far as the "other pans" - it really depends on which type of pan you're talking about. And keep in mind that the government does not make companies prove new chemicals are safe. The policy if they can use it until it happens to be proven unsafe - so just because we don't know if/how bad a new chemical is for us, does not mean it is actually safe to use. Stainless steel and cast irons have been around forever and stood the test of time and continue to be inert, which is why I recommend those pan types specifically. I just read from their website that PFOA has been phased out since 2013 and completely phased out in the chemical industry in 2015. Should I not trust this? Hi, Gwen. This article was written in January 2016. In late 2015 (but not reported until later - which is why I was unaware of it in January), Dupon stopped using PFOA in the manufacture of new products. Products made in 2015 or earlier (including many products still on store shelves) still have the chemical as no recall was issued and they voluntarily stopped using it. Many nonstick pans are still made with PTFE and PFAS. And, any pans made and sent to stores before late 2015 may still have PFOA as well. There are some nonstick pans on the market that are free of PFOA, PTFE and PFAS. The chemical compounds used in these pans are newer. Are they safe? We just don't know yet. Because of this, I'm avoiding them and sticking with tried and true options like cast iron, steel and stoneware. Which pans did you get, Ana? I read that hard-anodized aluminum is safe. But is there such a thing as hard-anodized aluminum that doesn't have a nonstick coating?? It seems those pans still have coatings... ALSO, where does classic Farberware fall? I am not aware of any hard anodized aluminum cookware that isn't non-stick. Now, "safe" is really relative and the makers of Teflon will still insist their product is "safe" because the minute they admit it might not be, it opens them up to incredible liability. Classic Farberware is nonstick as well and should be avoided. I just called Pampered Chef regarding a piece of Executive cookware and asked if I could exchange for stainless steel as you suggested. I was told that because they still carry the Executive line, I could only exchange for the exact pan. If I had had the Professional cookware, they would be able to replace with stainless. Was what you had replaced with stainless the Executive for Professional line? I called and explained that my executive pieces were damaged (they really were - the finish was peeling up) and that I wanted them to get replaced but I was concerned they were just going to do the same thing and so what I really wanted was a credit to get the stainless pieces instead. They let me exchange for the exact same pan (12" executive skillet to 12" stainless skillet for example) but I had to pay the difference between the pans. So in some cases that meant I had to pay $35-$50 per pan to switch to stainless plus the cost to ship the pan back to TPC. I am not aware of issues with the Rockcrocks. I think it would be very interesting to test the glaze for the presence of heavy metals but I do not believe that is something that has been done yet. 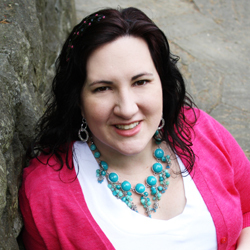 Hi Carissa, thanks for your post! In response to someone's query above regarding the Pampered Chef Rock Crock, I will say that the coating on my Rock Crock has peeled badly. I had read that this could happen if the pan was heated without liquid in it or if the liquid evaporated. I had been very careful about how I used the pot after learning that but I think my dog sitter may have used it to heat up dog food because I came home after a weekend away to find the coating on the bottom of the pot peeled. I have since used it to boil corn and eggs, rinsing off the corn cob in running water but was thinking that continuing to use it in such a fashion might be a bad idea! Thus, a search for peeling Rock Crocks brought me to your blog. I think that I am just going to pitch everything and replace with cast iron. Thanks, Andrea. That's interesting. Any finish that can peel away is questionable in my book. I think replacing with cast iron (and also some stainless steel maybe?) would be a great option. How do you store all your stoneware? I've gotten quite a bit from yard sales, but I'm at a loss as to how to store it! The baking dishes with sides stack inside each other and go in one cabinet. The flat stones stand on their sides and slide vertically into a narrow cabinet. If not, join the community group on Facebook and ask me there and I can post pics! Carissa, it makes sense! Thank you! Do you put anything between each piece, like a towel or something? The ones stacked inside each other I do use padding for - a hand towel or washcloth is the perfect size. I have mainly stainless steel but I like non stick for cooking my eggs in the morning. My stainless steel has straight walls and just doesn't make me happy with the mess and my pans are high end but 20+ years old. I am shopping for a small skillet for my breakfast and I would love to find a smaller grill. I have a large one that is ceramic coated and it's just in the way. I think cast iron is going to be your best bet. They out perform ceramic nonstick by miles and some ceramic pans have lead and/or cadmium in them. Thank you for this article (& listing the Pampered Chef phone #). I am replacing my professional PC cookware set with the stainless steel set. Now that I made the commitment to get nonstick out of my house, I'm concerned about some of reviews that stainless steel can be tricky to get clean. Any tips on cleaning the stainless steel? I usually just put mine in the dishwasher. Sometimes I get some brown scorch marks on the pans. Pampered Chef makes a stainless steel cleaner that works but I don't feel awesome about the ingredients so since my pans are not being displayed I don't worry about it. Generally a short warm water soak and pre-scrape helps keep things pretty clean, though. Oh no! Thank you for this update. I might call back and try to reference this blog post letting them know you know they have done this before. If not, you could swap your old pan for a new one and sell it on Craigslist and use the money toward stainless. Peeling nonstick coating is definitely a reason to exchange it! Is it okay to use a teflon-coated cooker to only make hard boiled eggs? I recently received a Hamilton Beach egg cooker for Christmas and the only thing I would consider using it for is hard boiled eggs. I am unsure if the bad chemicals would seep through the shell. Any thoughts? I would personally not choose to use this. Will this kill you? Probably not. But since there are other non-nonstick options available to quickly cook eggs and eggshells are permeable, I would personally not use this. I might suggest returning this item for store credit and put that credit toward getting an instant pot. I make beautiful, easy to peel eggs in my Instant Pot in just a few minutes and the inner pot is stainless steel. It also makes a great rice cooker and quick way to whip up dinner! Correction to above... it does not say teflon but rather non-stick. I thiNk it's teflon. I'm so glad to hear that worked out! You will love the Pampered Chef steel set. Hi there! I am looking into getting the Pampered Chef Rockcrock. I saw the above comment about it, but wondering since that comment was about a year old, if you've come across any "warnings" about it since then? it's an expensive piece so I want to be sure it's safe, too. Thank you! I haven't had a chance to test one for lead (in the lead safety work I do with Lead Safe Mama). I am generally wary of ceramic cookware due to the potential for lead and cadmium contamination in the glaze. The name brand direct competitor to RockCrock has low levels of lead in the glaze and I would think that if Pampered Chef were lead free, they might consider that a competitive advantage and advertise it. I would personally stick with stainless and cast iron cookware. So I guess the nonstick stainless Pampered Chef o=pans are bad?? They are advertised as titanium reinforced 4 layer nonstick coating that is PFOA free. I wonder what chemical they use instead? I definitely don't want to use them. I'm not sure what chemical combination they are currently using (proprietary) but I think sticking to time tested inert materials like steel and cast iron is the way to go. I am not finding the stainless steel option at pamper chef anymore. Am I not looking in the right place or is this no longer an option? I just looked and don't see them either! I reached out to a consultant I know to confirm. Hello! So, I just hosted a PC party and I needed a new dutch oven and a very small 1 qt pot and they have neither! I was researching to find the materials used to make their 5 1/4 stock pot #2736 and you can't find this info anywhere! Every other pot on the market tells you if there is aluminum sandwiched in between stainless steel and then what type of coating is on it, but not PC. I am sickened by this hiding of information. The reason I was researching was my concern about aluminum in the pan. I want a stainless steel pan set that has no aluminum in it at all. The reason I decided to post a comment is because I am surprised that you did not address the popular concern about aluminum. I also was sick of seeing my aluminum cookie sheets wipe of silvery grey dangerous to ingest residue, so I was going to order the PC metal cookie sheets, but they have aluminum in them too. Do you know anything about that? Same with the metal baking pans! Help! Is there such a pot and pan and baking sheet that does not have any aluminum in them? Pampered Chef is interesting because the stainless steel cookware I own from them is 100% stainless and at the time I got it, it was disclosed that it is tri-ply-clad (there is an aluminum disk in the bottom, sandwiched between two pieces of steel). The aluminum is included for its superior ability to conduct heat. There is no way for the aluminum to get to your food so for this line of pans it isn't a concern as the aluminum molecules are not able to migrate through the steel to your food either. I definitely do NOT recommend buying any pan where aluminum can touch your food. Pampered Chef unfortunately has very recently discontinued this line of cookware and now have a line out that is stainless on the outside but nonstick on the inside. I do NOT recommend that people buy this line. how is the Jamie Oliver pan ? I'm not personally familiar with this pan. Based on a quick Google search, it appears he has both stainless steel pans an hard anodized (nonstick) pans. The stainless pans look good but I would not personally use the nonstick ones. What are your thoughts about hard anodized pans? Hard anodized aluminum can be used in a variety of cookware. Sometimes it is used under a nonstick coating. I definitely do not recommend those. I think your best, safest choices for non toxic cookware are going to be stainless steel or cast iron. Do you use both the regular and the glazed stoneware? I just hosted a pampered chef party and am getting ready to purchase. We just moved into a new house and decided not to bring any of our chemical-containing cook/bakeware with us in the move! Sorry for the delay in responding - my response functionality was down for a few days! I use just the regular stoneware from Pampered Chef. I do not believe any of the coated Pampered Chef items have been tested yet. The devil we know is a documentary on Netflix that tells about DuPont’s plant and the activity there. It has some foul language so you wouldn’t want to watch it with children. It was very educational... I’m going to check on replacing my PC non-stick cookware tomorrow. Thank you for your helpful information!!! I guess I will be replacing my non stick Pampered Chef pans and other non stick bakeware. Is there a brand of Stainless steel pans you would recommend? I also have a set of Faberware stainless steel pans, which I never use. I think I read in the comments, that you would not use them either. I have some research to do on this. Any help is appreciated. Pampered Chef used to carry a line of stainless steel cookware. It has been discontinued but if you can find it second hand I love that brand. One of my friends recently purchased This Set and really likes them. I should add that Pampered Chef's "stainless steel" cookware they are currently selling is a combo of stainless and nonstick - so don't buy anything from the catalog. You'd need to find secondhand stainless steel cookware. What are your thoughts on carbon steel woks? I personally use Stainless steel and cast iron but I don't have any concerns about carbon steel from a toxicity perspective.